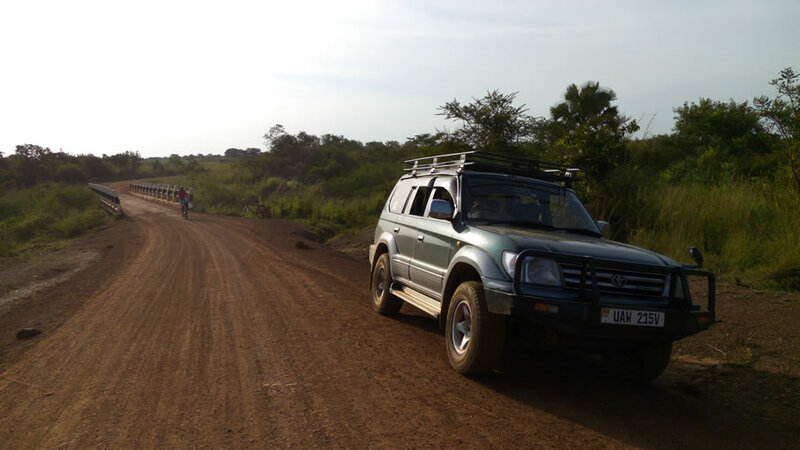 Below are some of our 4×4 cars for hire for your safari in Uganda, Kenya, Tanzania and Rwanda. Highly recommended for camping safari in East Africa. We also have normal tents with a full camping gear at US$5 per day for 2 pax. 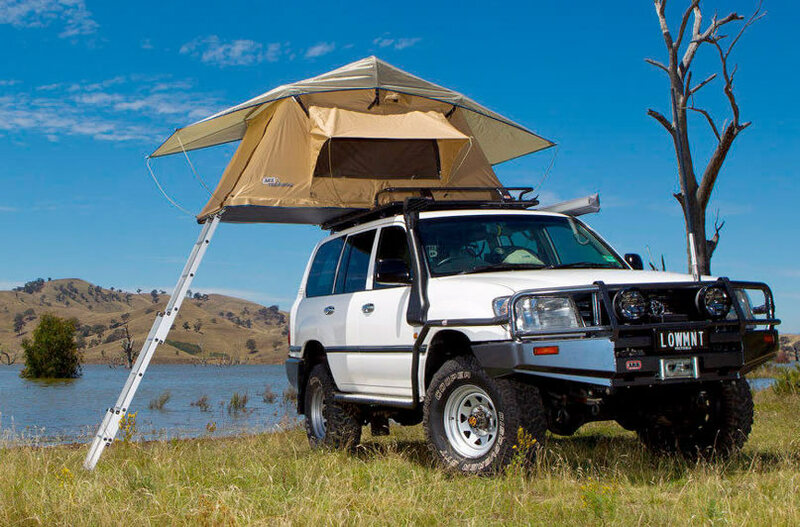 A root top tent Land cruiser is available in both Manual and Automatic gear comfortable for a maximum of 3 pax. The 4×4 Toyota Land Cruiser GX is Manual Transmission, with 4200cc Diesel Engine (1HZ), air conditioned, with a sun-roof. If you want 2 Roof top tents, its a perfect choice of 4×4. 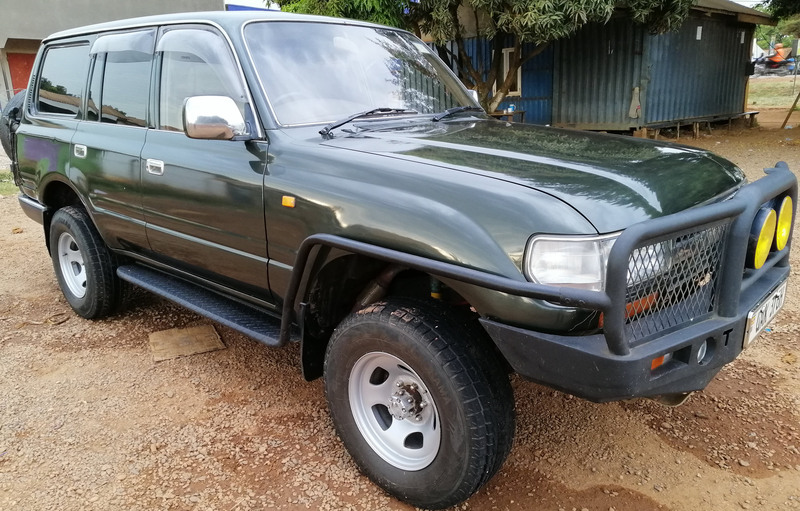 4×4 Toyota Prado can be offered with or without driver, it has a seating capacity of 4 adults including driver and each person with a window seat. Truck seats can be removed to create more space for luggage. The 4wd Land cruiser Prado is highly recommended for self drive hire and does well in social trips. We have both Manual and Automatic transmission and both work perfectly for your safari in East Africa. 4×4 Toyota Prado 3.0Liter Turbo is available for self drive or with a drive depending on your choice. Seating capacity is 4 adults including driver and each person with a window seat. It has enough space for luggage. It is also recommended for self drive hire and does well in social trips. We have both Manual and Automatic transmission. 4×4 Toyota RAV4 is stylish SUV model and comes with Toyota’s reputation for quality, durability and reliability. 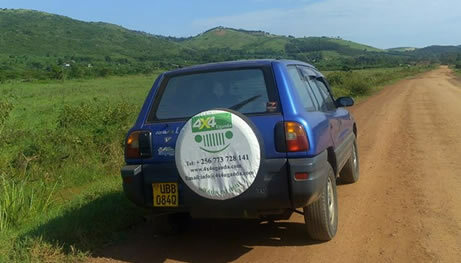 This is one of Africa’s most suitable vehicles for self drive tours. 4×4 Toyota RAV4 handles well and feels stable out on the open road. 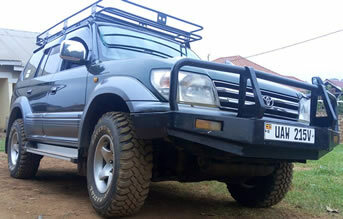 It is comfortable for running around town, up country and in National Parks like Murchison Falls, Queen Elizabeth, Lake Mburo, Kibale Forest and the bad terrain of Bwindi Impenetrable National Park a home of mountain gorillas in Uganda, and rav4 low load floor makes it convenient for hauling stuff. 4×4 Toyota Rav4 adds an optional Sport Package with unique trim inside and out, and popular comfort and convenience features such as air conditioning, power windows and mirrors, speakers, floor carpet and cargo mats. 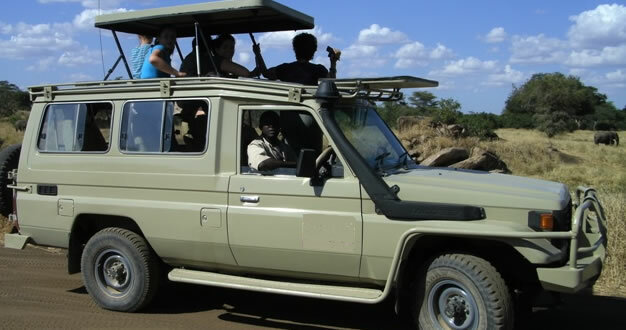 Toyota Land Cruiser hardtop is excellent for off-road driving and safaris in East Africa. It has a pop up roof for excellent game viewing and photographing while on your safari in Uganda, Kenya, or Tanzania. Seating capacity is 2 to 5 persons. 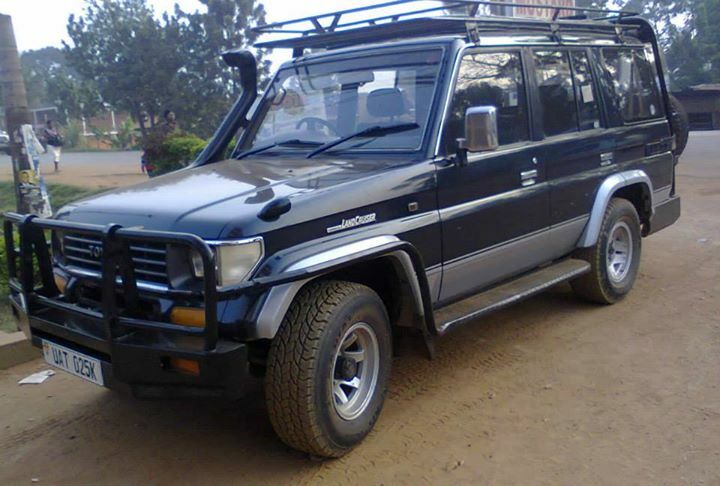 It has 2 spare tires and available for hire with or without a driver at very affordable price on the market. Toyota Land Cruiser hardtop Extended is excellent for off-road driving and safaris in East Africa. Its body chassis is stretched with both roof rack and roof hatch for excellent game viewing and photographing. Seating capacity is 6 to 8 persons. It has 2 spare tires, lift jack, mini-fridge, Air-conditioned and available for hire with driver at very affordable price on the market.